OUR Tender Chocks designs are all original and we take great pride in that. We are the first in the chock business to use 1/2" 6061 marine grade aluminum plate in the manufacturing process. We use a heavy duty wrap around rubber guard which is bolted on not glued. We like the clean look of the 1/2" plate not needing all the welds and flanges to reinforce thinner gauge aluminum. Our designs are made to be as compact as they can to avoid a bulky piece of aluminum on your beautiful yacht. We believe our products are so heavy duty that we are the first in chock business to give a 5 year structural warranty and a 5 year rubber guard replacement warranty. For 27 years, Atlantic Towers has been one of the marine industry's most respected names in fabricated aluminum products. Atlantic Towers was founded in 1981 as a custom fabricator of tuna towers for blue water battle wagons. These rugged aluminum towers stood tall over boats owned by many of the top names on the offshore tournament circuit. And Atlantic Towers performed custom work for such notables as the publisher of Salt Water Sportsman magazine, stormy petrel the Chairman of Raytheon, the Chairman of Icon, and the gold record artist Billy Joel. TurboSwing BV is a young, international water sports company. We manufacture the TurboSwing tow bar, a unique and patented towing system for boats powered by an outboard motor. We focus on both the leisure market for water skiing, wakeboarding and fun tubing, and on the professional market for rescue operations and towing boats and other floating objects. 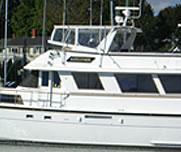 Custom Interior & Exterior Metalwork Solutions for the Marine Industry. Everyone from yachtsmen to captains have made UMT International their resource for custom yacht davits [yacht cranes] and cradles [chocks]. UMT International has an intense commitment to exceptional quality, aesthetics and durability. It's a unique balance of marine technology quality and aesthetics that is hard to achieve...but UMT International consistently exceeds customer expectations. Weaver Industries is the world leader in manufacturing of products for dinghies. Other popular Weaver products include; the Weaver Leaver, Ultramount, Universal Dinghy Chocks, Stand Off's, Weaver Fishing Pole Holder, and Inflatable Boat Parts. YRM, has many years of experience working in South Florida. YRM specializes in custom fabrications, repairing and performing maintenance on yachts of all shapes and sizes, including vessels up to and over 300 feet. 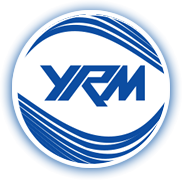 YRM has been growing as a company ever since the launch in 2008. In 2012, YRM did a massive expansion and moved to its current location of 10,000 square feet and set up one high tech fabrication facility to include two different bays under one roof, one for custom stainless steel and aluminum fabrications and one for custom carpentry work.